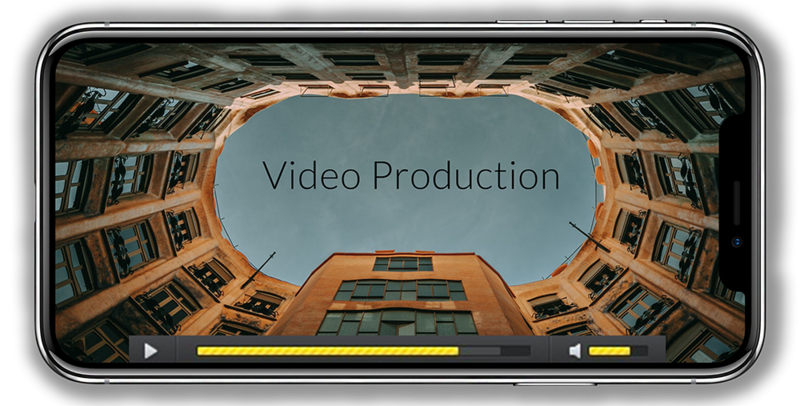 This deliverable focuses on creating a ​cost-effective​, streamlined​ and ​repeatable process for clients when creating videos. Worldwise will create a film focused on the company’s top differentiators as identified by the client and then will highlight these differentiators through supporting footage. In this recommendation the film dates will take place over a single half day (up to 5 hours) and any interview(s) will need to be filmed on-site, and with a basic lighting package to maintain a clear, consistent look. This recommendation assumes that all producer responsibilities (scheduling, logistics, etc.) will be done by Worldwise or their client. ESTIMATE:​ ​Includes concept refinement brainstorm, video production, video editing, and support services. Travel fees for pre-production and production outside of Kent County may apply. Estimate assumes the client will act as producer in pre-production planning, coordinating interviewees, and on-set during production (responsibilities outlined below). We’ll be sending you a document with a few basic questions about the production location and those being interviewed to ensure we have everything we need for production day. So we’re being sensitive to time and getting to the heart of your project, we’ll need you to prepare a list of interview questions to be asked by the Director during the interviews. To ensure we get any shots you ​know you want while we’re shooting b-roll footage, please include mention of these in the b-roll shot list document. As the champion of the production day, you’re expected to be active on set for the entire time our crew is. Our crew can’t do our best work without your support. It’s your responsibility to ensure everyone involved in the production day is on time, interviewees and subjects arrive prepared, know where they need to be and when, ensure their hair, makeup, and clothing showcases your desired look and feel, etc. For legal reason, there are two forms we’ll send you that we’ll need you to administer and receive signatures on during the production day: talent release form (for anyone being filmed) and a location permission form. The Producer is also responsible for keeping track of time and keeping the production day moving forward to complete all production day requirements. Our team will also rely on you to be in charge of set design and ensuring the necessary equipment, machines, offices, props, etc. are setup and available when our team will be shooting. Last but not least we ask that you be in charge of providing “crafty” on the day of production. Crafty is food (lunch & snacks) for all involved with production day: interviewers, customers, clients, and video crew. Please note that if there are additional people needed for the production day based on your concept that you will be responsible for coordinating with them. ​This deliverable focuses on creating a process for a ​multi-deliverable​, intentional​ and ​moving ​stories for clients. Worldwise will take the client through our discovery and strategy phases where we will learn about the story and then brainstorm an effective and original way to tell it. Worldwise will also present two pitches to the client and stakeholders who will choose the best one (or combination of the two) based on the discovery from the previous phases. Worldwise will handle all producer responsibilities through the entirety of the project. 3-5 person crew: Director, Producer, Cinematographer, Gaffer, and Sound Recordist. ​This deliverable focuses on creating any content that Worldwise or their clients would want. Worldwise will take the client through our discovery and strategy phases where we will learn about the story and then brainstorm an effective and original way to tell it. Worldwise will also present two pitches to the client and stakeholders who will choose the best one (or combination of the two) based on the discovery from the previous phases. Worldwise will handle all producer responsibilities through the entirety of the project. Let's Get Started On Your Video Project!